We have two Halloween events this year. 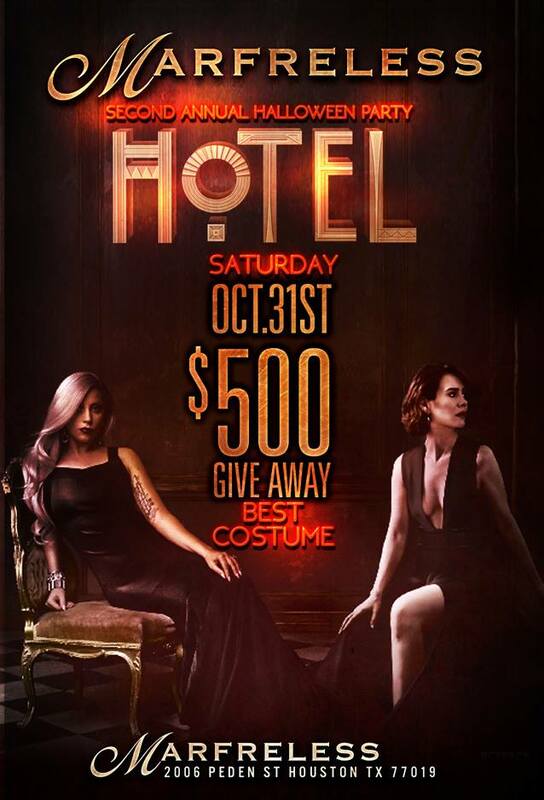 Come in Friday October 30th and Halloween night Saturday October 31st with your best costume, and you could leave with $500 in prizes. Marfreless was the place to be last year and we’ll make sure this year’s events go just as well. Stop by for drink specials and have a great time.